The chapter's redesigned website has experienced tremendous growth in its first five months. LOS ANGELES -- The Greater New York Chapter of the Alabama Alumni Association (UANYC) has experienced tremendous growth in the first five months of its revamped website (UANYC.com) and new club management system with AlumniMagnet. 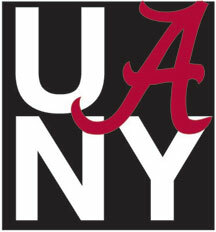 Launched on June 18, 2010, the Greater New York Chapter’s website offers an integrated online experience and expanded business, career, and social networking information and opportunities as well as numerous value-added services and benefits for Alabama alumni living and working in the New York city metropolitan area. The UANYC site has been visited by over 3,400 unique visitors amassing over 33,400 page views since the site’s re-launch with AlumniMagnet. Fans and alumni visiting the site enjoy recent news about the chapter and its members, the University and Crimson Tide athletics, a dynamic events calendar with RSVP features for free and ticketed events, links to follow the chapter on Facebook, Twitter and Foursquare and an online merchant-grade e-commerce system to pay membership dues and purchase event tickets and UANYC-branded merchandise. The UANYC leadership team has embraced the Magnet technology, especially its membership management and tracking features, as the primary tool to manage the chapter’s administrative tasks. Shortly after site launch, the chapter used the Magnet content management tools to lead the promotion of its first membership drive, which has led to a 98 percent increase in its active membership. AlumniMagnet is a collection of integrated web applications allowing alumni community leaders to deliver value to their alumni in the areas of business networking, social networking, and lifestyle benefits. From its inception, AlumniMagnet's architecture was designed with alumni club chapters and associations in mind. The result is a suite of tools that covers exactly what alumni chapters and associations need to shine with their members. For more information, go to www.alumnimagnet.com.